Small business owners (like contractors, builders, automobile repair shops etc…) and homeowners who bring their scrap materials to our modern recycling center & processing yard can expect the same professional service provided to all our industrial & commercial accounts. 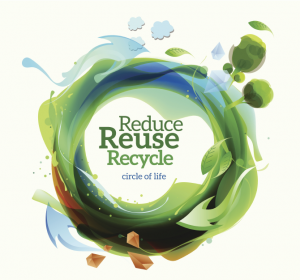 Our knowledgeable and courteous staff strive to make your recycling visit pleasant and efficient . . . and profitable! Doing business with Klein Recycling means you are dealing with New Jersey’s best! We continually reinvest in our employees and our facilities to provide unparalleled service to all our customers. CALL US today – or just come by during our hours of operation. We buy a wide variety of ferrous and nonferrous metals. And because we deal in such large volumes, we’re able to offer customers the most competitive prices for recyclable metals. Metal Prices Fluctuate Daily Call 908.722.2288 for Current Prices TODAY! 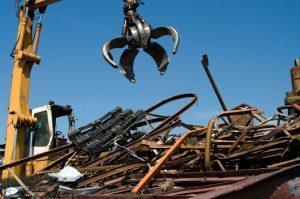 For customers with large quantities of scrap metal, we offer convenient, cost-effective pickup services anywhere in the greater Tri-State area. We have a large fleet of flatbed, dry van, open-top and roll-off container trucks to handle even the biggest of jobs. You may also drop off recyclables at our facility, where our friendly staff will unload, weigh, and sort your scrap metal. 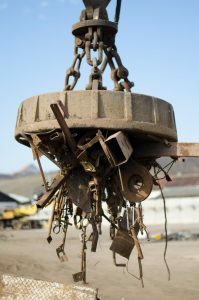 Our recycling yard is equipped with the industry’s most up-to-date processing and purchasing equipment to handle any ferrous or nonferrous metal recycling job—no matter how large or how small. 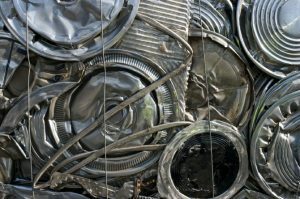 For more information about the scrap metal we buy, or to schedule a pickup or drop off, give us a call TODAY!